You may best remember Ana Gasteyer eating Alec Baldwin's Schweddy Balls as Margaret Jo, the NPR co-host of The Delicious Dish on "Saturday Night Live." She was also a real-life Broadway actor and cabaret singer, and she just released her new album of jazz standards, I'm Hip. We talk about her upcoming appearance at the Katharine Hepburn Cultural Arts Center on November 24, part of CPTV's new national music series, The Kate. Next, Glastonbury resident Rochelle Ripley is one of the 2015 nominees for CNN's Top Ten Heroes award. For Rochelle, that means fulfilling a promise she made to her grandmother to help the Lakota people. You can read about all the nominees and cast your vote at heroes.cnn.com. Last, Yale is in the middle of a fierce debate over the boundary between culturally offensive speech and hate speech. They're not alone: players on the Missouri football team on Monday forced the resignation of the college president over unresolved racial tensions. Last month, Wesleyan students demanded defunding the school newspaper that printed an editorial from a student who criticized the Black Lives Matter movement. Are demands to get rid of a problem the best way to deal with it? 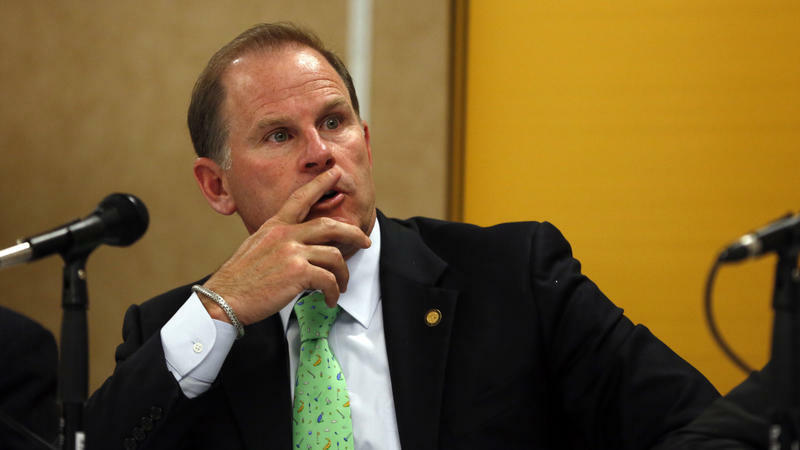 Amid continued pressure, the University of Missouri System President Tim Wolfe and the chancellor of the Columbia campus, R. Bowen Loftin, both tendered their resignations on Monday. Wolfe announced his resignation this morning and by late afternoon, Loftin had followed suit, saying he would leave his post as chancellor at the end of this year. "I take full responsibility for this frustration, and I take full responsibility for the inaction that has occurred," Wolfe said.